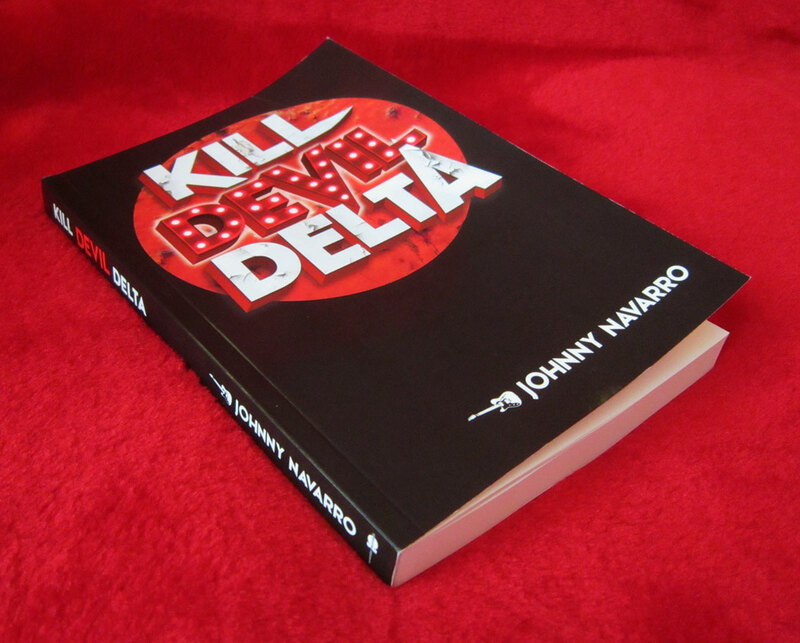 KILL DEVIL DELTA - OUT NOW!!!!! The new novel by cult band Devilish Presley frontman Johnny Navarro, is printed and ready to buy!!! KILL DEVIL DELTA is an inventive, explosive and biting read. 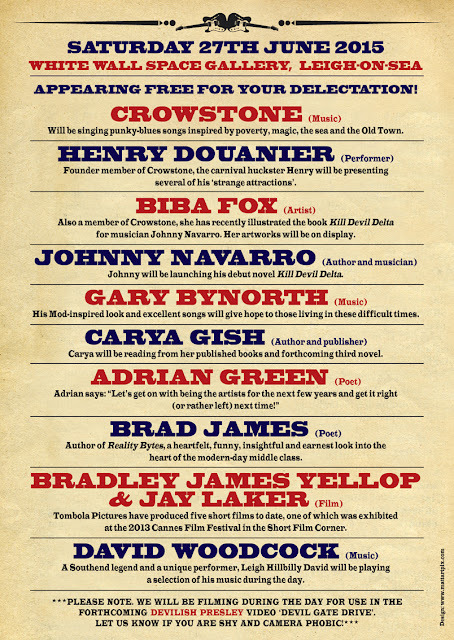 It follows the fortunes of a failed musician called Henry Douanier. With the powerful sense of history and place, the book explores Henry's family and a life in music. With biting satire the book veers towards a nightmarish future world, where the demonic Sod Johnson rules. It was an absolute pleasure and honour to work on this book and you can order it now!!!! 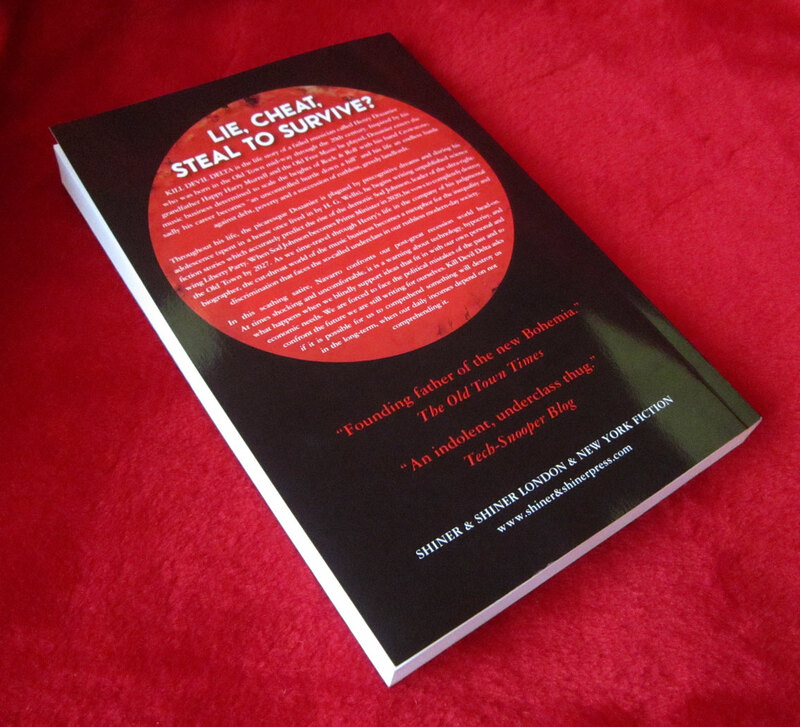 The book also comes with a 15 track CD, with songs by Douanier's band Crowstone, which feature in the book. You can also meet the author, along with Biba Fox, who did the amazing paintings throughout the book, at an exclusive one day only pop-up event in Leigh-on-Sea. 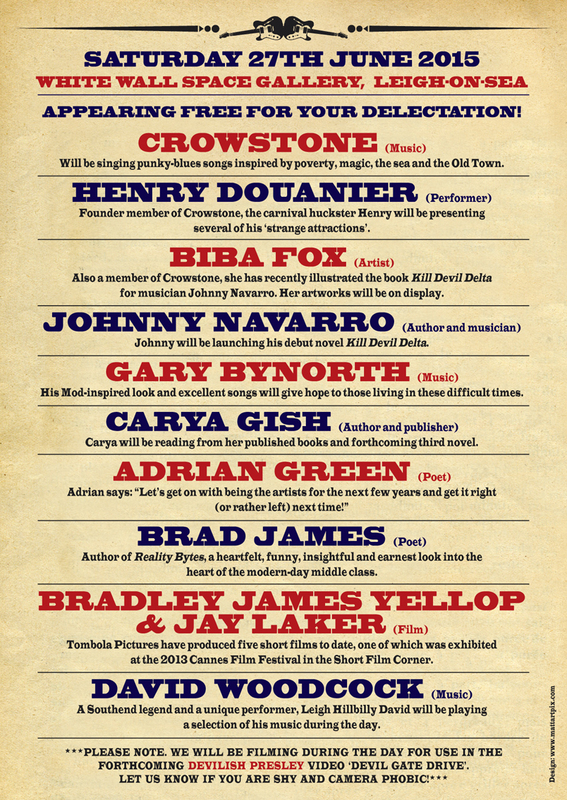 Under the banner of The Salvation Artists, Crowstone will be performing alongside an array of talented poets, musicians, authors and film-makers. This week I went to see the new film of Thomas Hardy's classic book, FAR FROM THE MADDING CROWD. And what a treat it was! 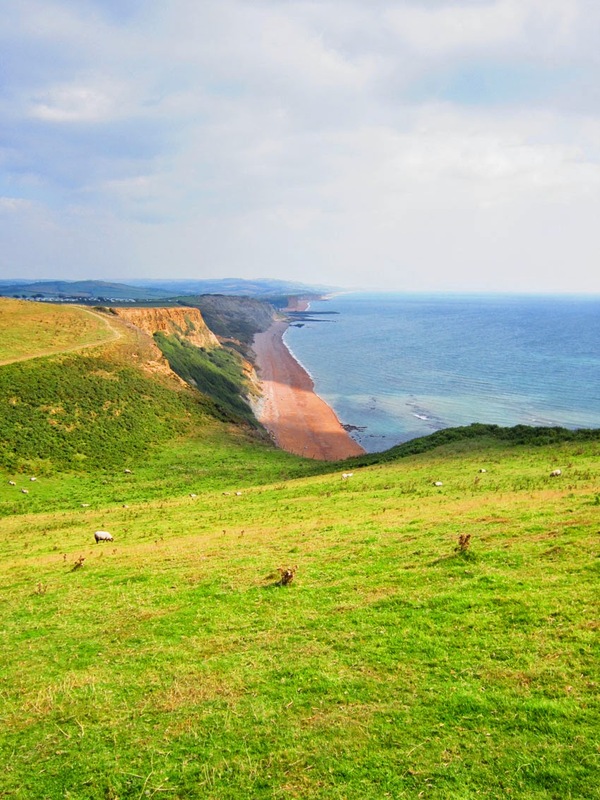 As with all of Hardy's books, the countryside and location is central, and of course, as always was set in his beloved Dorset. Or Wessex as he cleverly renamed it in his writings. Having been to Dorset many times I managed to spot a few familiar places!! 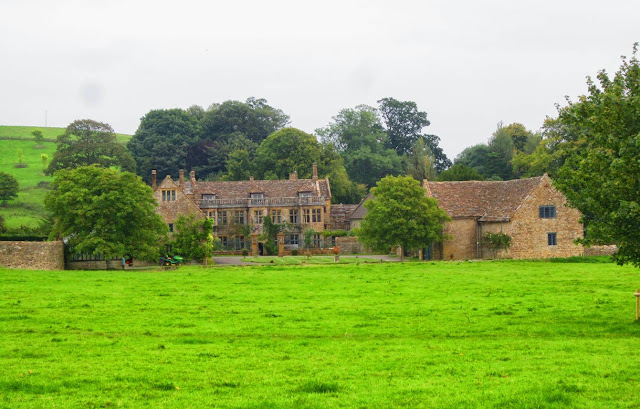 As Bathsheba Everdene's complicated life unfolded, we were able to see the amazing Mapperton House doubling up as her inherited estate Upper Weatherbury Farm. And the infamous sheep scene (go and see the film! 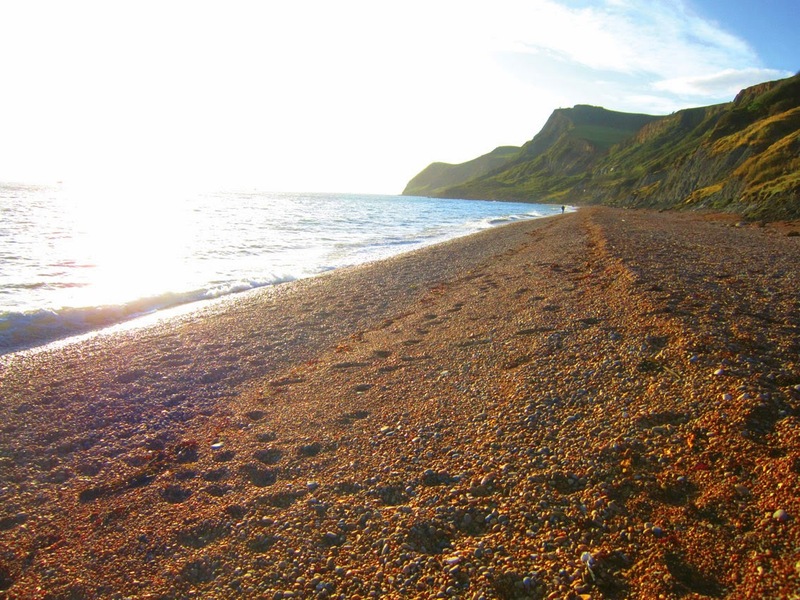 ), was shot on the stunning coastline near the village of Eype. The film is gorgeous and is superbly acted throughout. The characters all come alive very well. And it was to nice see the film was very respectful to Hardy's original book from 1874. Go and see it and check out some of my own photos of these locations below!! Many a scene was filmed here at the marvellous Mapperton House, tucked away in a time capsule of a valley in Dorset. The cliffs where the sheep scene was filmed, near the village of Eype. And here we are at the top of the cliffs, watch out for the sheep!! CONGRATULATIONS TO CHELSEA ON WINNING THE PREMIER LEAGUE THIS WEEKEND!!!! Jose Mourinho's side have had quite a year, leading from the front all season and picking up the League Cup along the way! 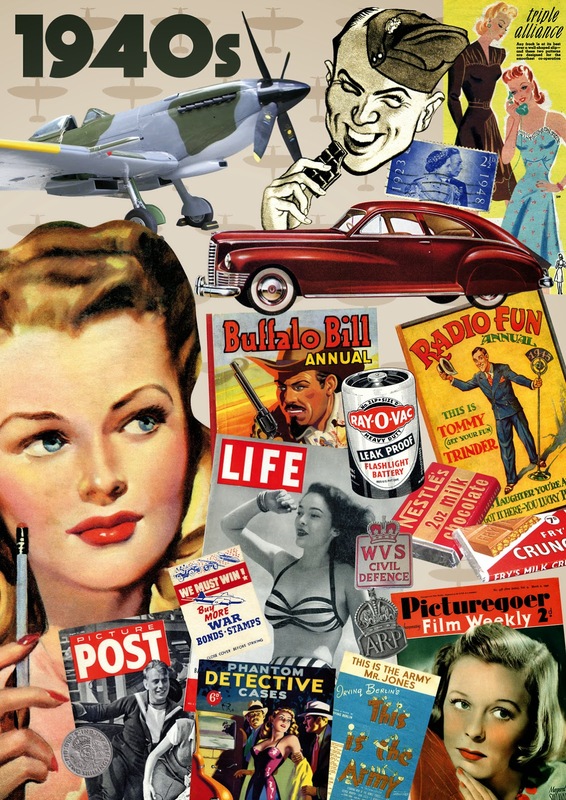 And what better way to celebrate than by having a look at some of my history laden collages of West London's finest! 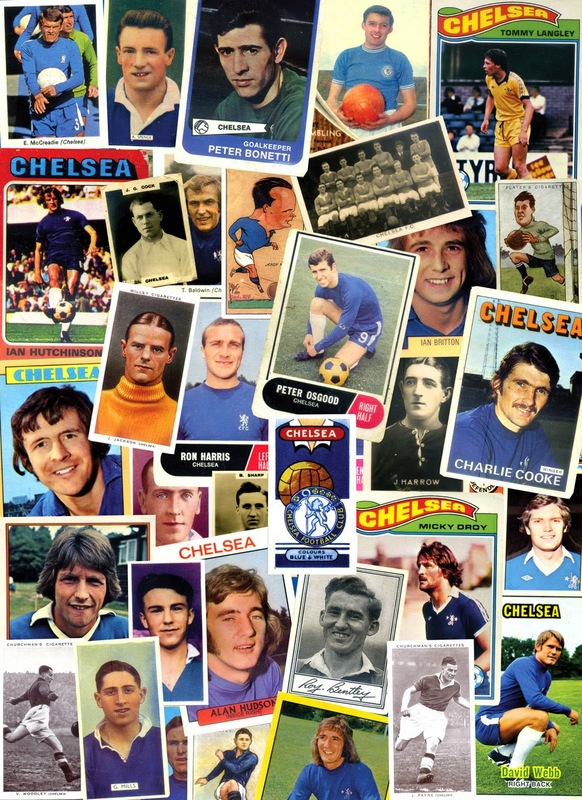 Chelsea collage from my very popular Retro Football range. 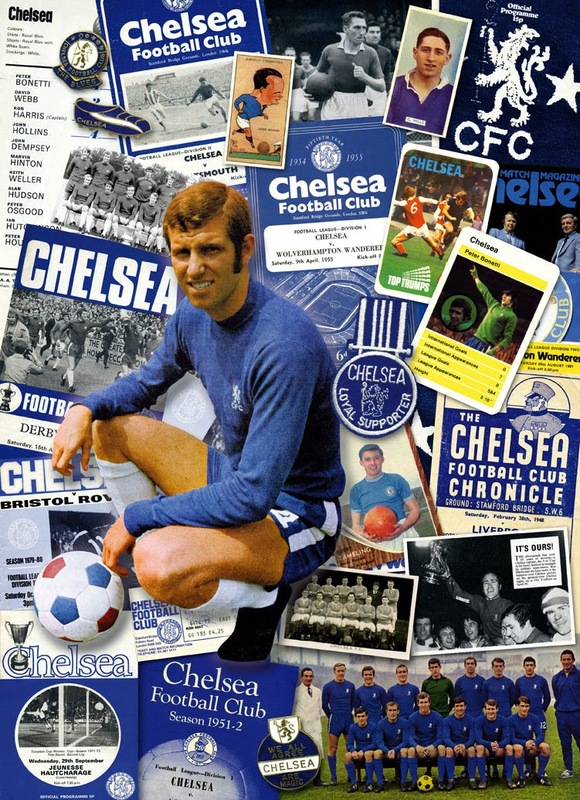 It features Blues legend Peter Osgood with many programmes, badges and cards. Chelsea cigarette and trade card bonanza here!! Includes past greats such as Jack Harrow, George Mills, Roy Bentley, Peter Bonetti and Charlie Cooke. On a sadder note, my best wishes go to ex-Blue Jimmy Greaves, who suffered a severe stroke at the weekend. It is often forgotten that Jimmy started his amazing career at Chelsea, scoring on his debut in 1957. He was top scorer in each of his four seasons at Stamford Bridge, before his infamous transfer to AC Milan in 1961. His 43 goals, including 41 in the League, in 1960/61 remains a Chelsea club record unlikely to be beaten. 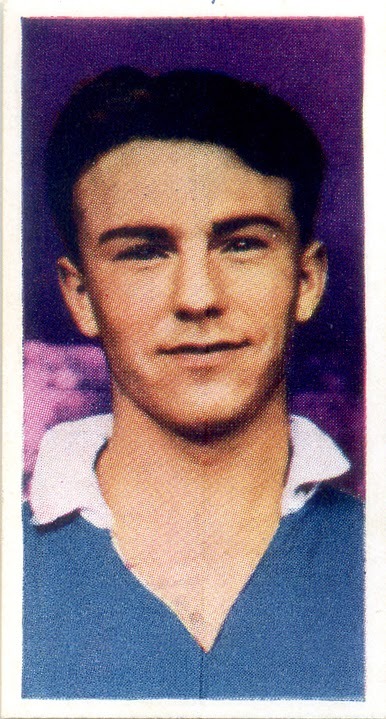 Jimmy Greaves in the blue of Chelsea. From the Footballers series issued by Cadet Sweets in 1959. 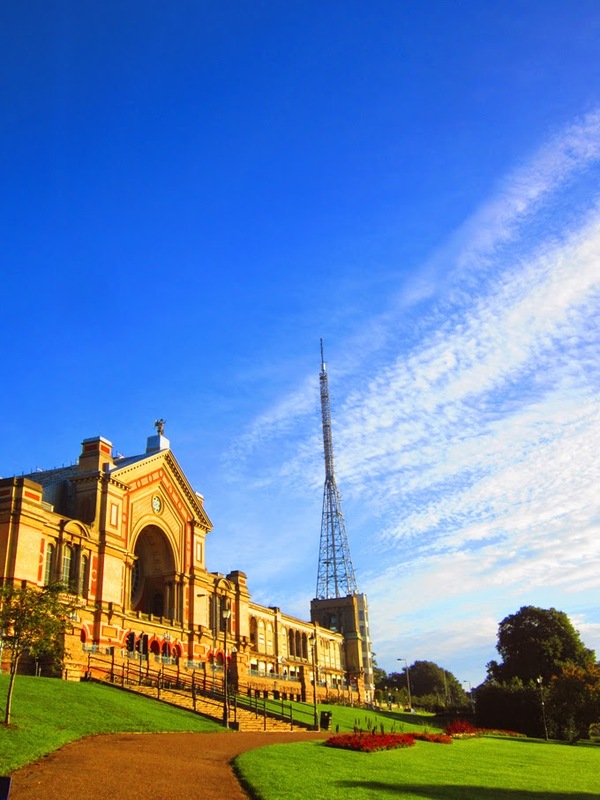 This Sunday I'll be at London's biggest antique fair at Ally Pally!! Can't wait to be back at the fabulously iconic venue for another amazing day. 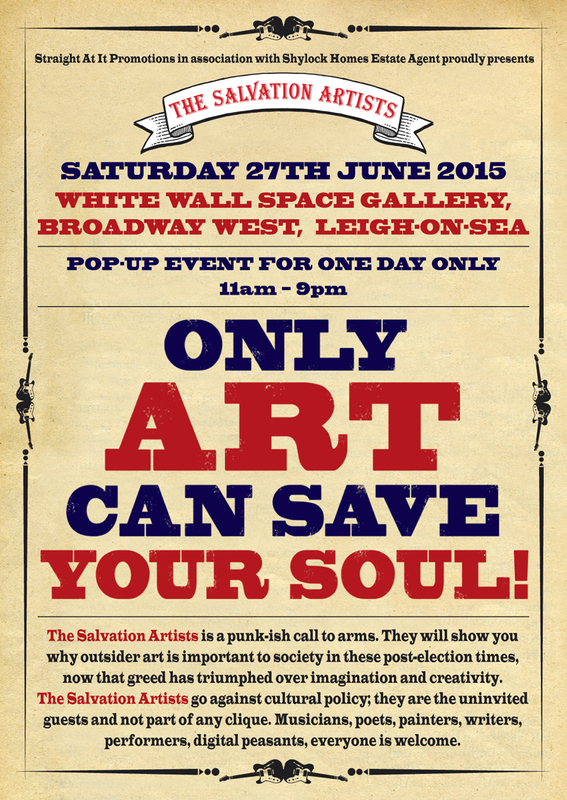 They'll be over 600 stalls there, so arrive early to not miss anything! Traders are admitted at 8am, with the public opening at 9-30am until 4-30pm. I'll be at stall number E16, which is around the middle of the hall. 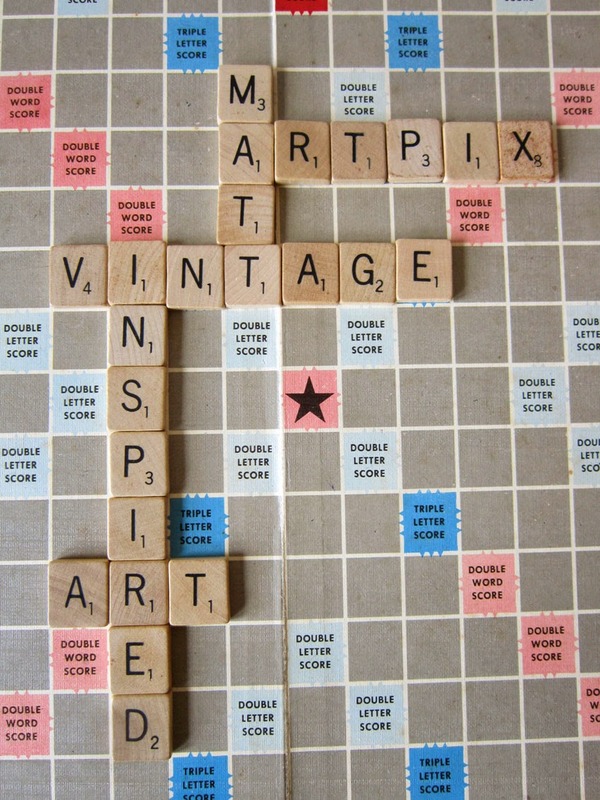 I'll have a cracking selection of vintage and antique items, plus a selection of my own vintage inspired work. See below for a tiny sample of some of the goodies I'll have on the stall! 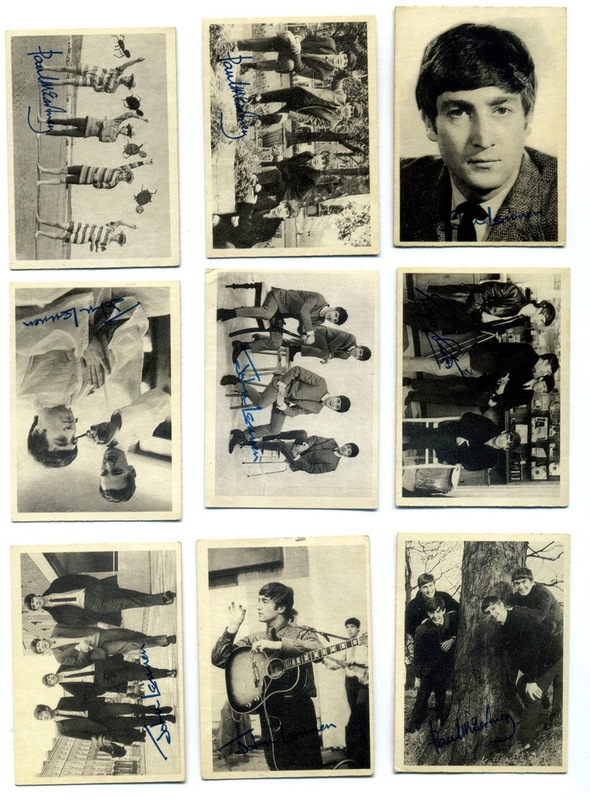 Original 1964 A & BC cards of The Beatles. 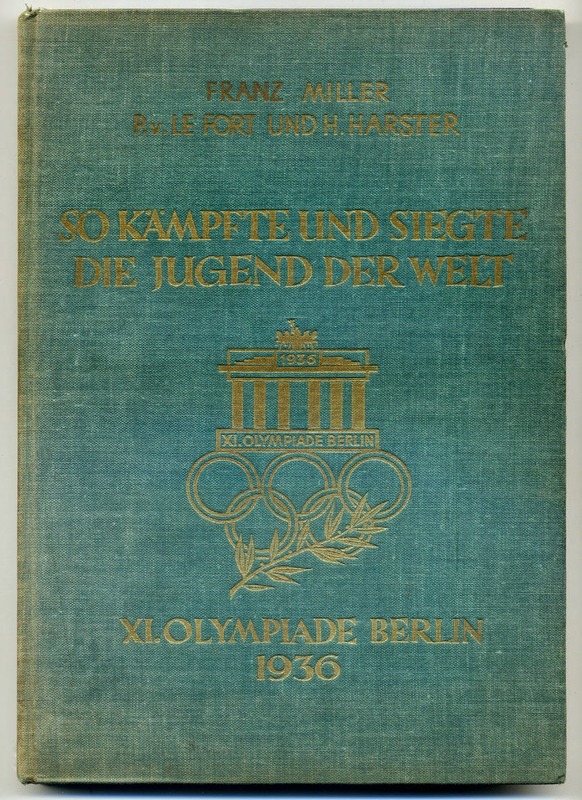 Rare German book of the 1936 Olympic Games, offered with additional newspaper cuttings. 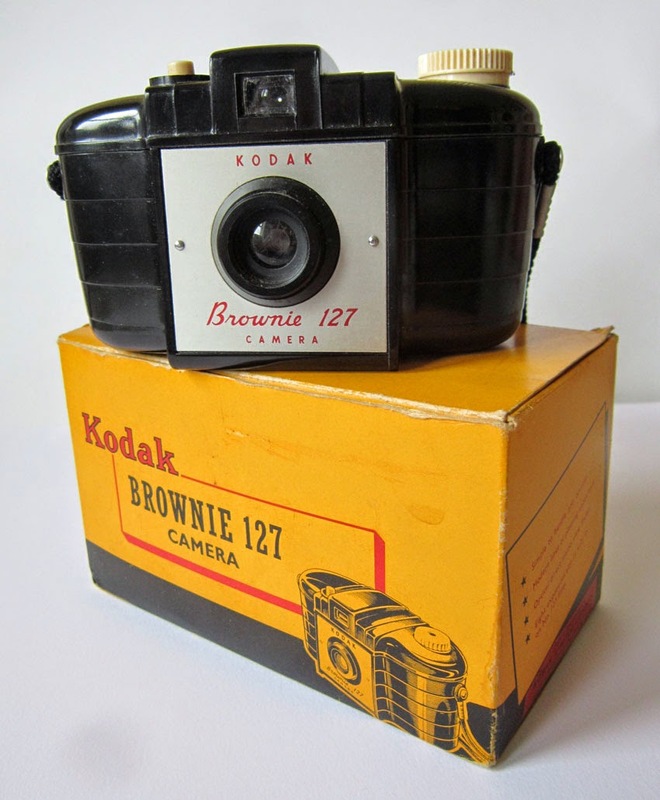 Amazing 1950s Kodak Brownie 127 camera, with ORIGINAL box! Fantastic 1950s Scrabble set, with wooden, not plastic, pieces!! 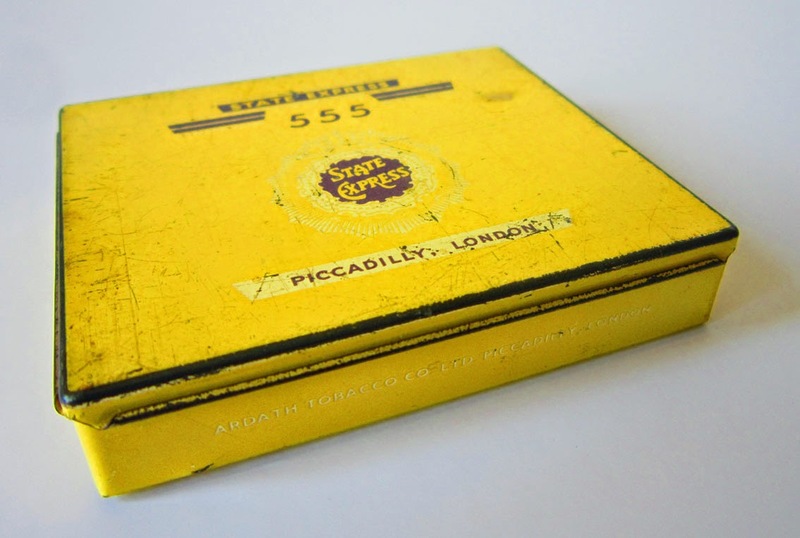 1930s State Express 555 cigarette tin. 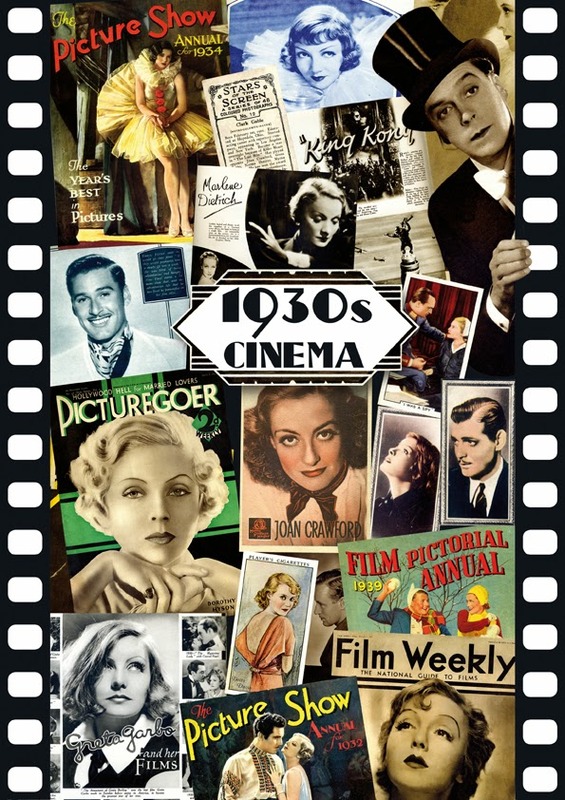 Some of my own designs will be there, including this homage to 1930s Cinema. Just one of my popular Dazzling Decades series, the Fighting Forties.